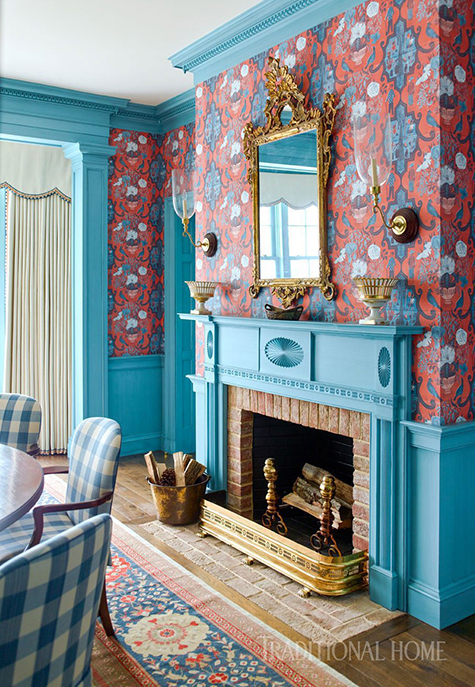 Gil Schafer is reaching idol status in my life - all of his firm's projects are beyond exhilarating to look at - like this one featured in Traditional Home. Designer Libby Cameron collaborated with Schafer's architecture firm to create a STUNNING masterpiece of a home - each room is amazing. But this dining room took my breath away - the wallpaper, moldings, rug, and chairs are unbelievable. A completely and utterly traditional space that no one can say is stuffy or boring. So many risks and such a huge reward! It's been a crazy busy week here with lots of chores and to-do lists for the weekend. Here's to a productive 48 hours...I hope. See you next week!